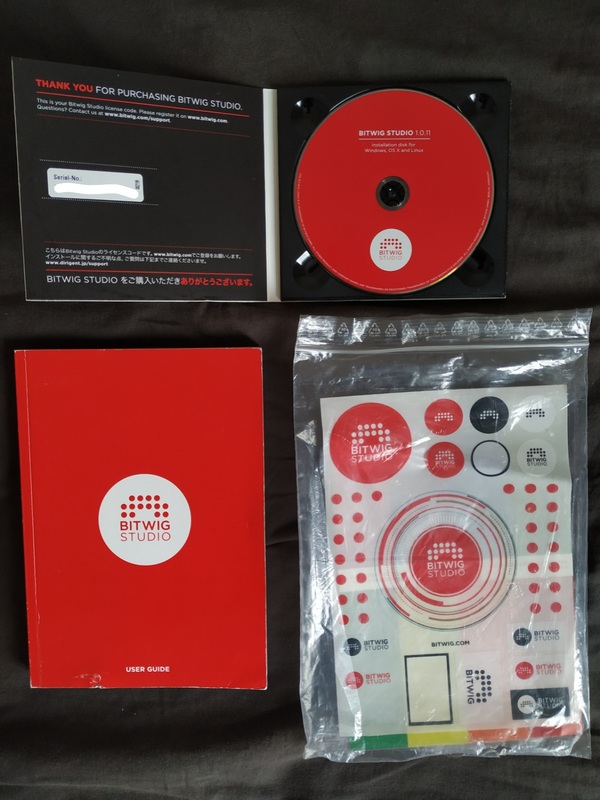 Bitwig Studio, General Sequencer from Bitwig. 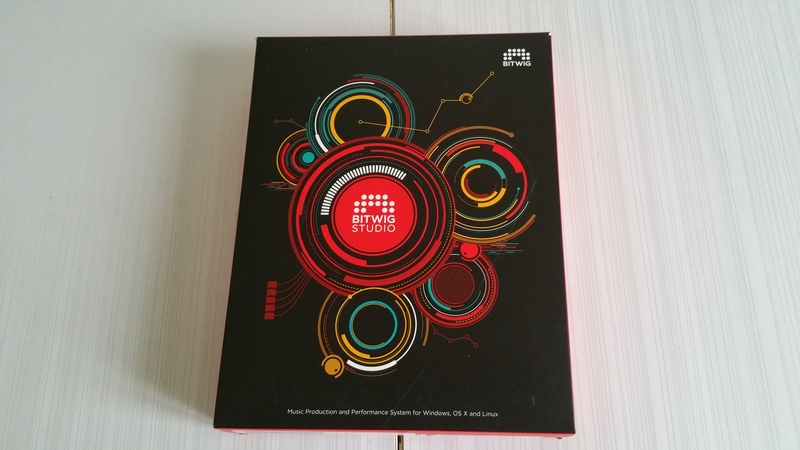 Product replaced by the Bitwig Bitwig Studio 2. Bzrk's review (This content has been automatically translated from French)" Adopted!" 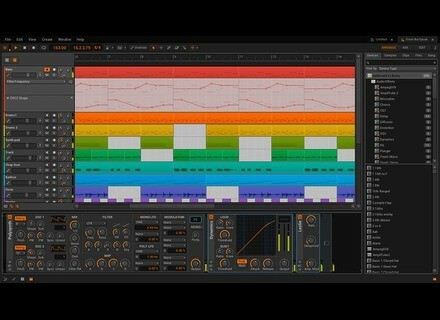 I use Linux exclusively Bitwig, so I talk about my experience on this system. I bought it the day of release, the installation is very simple on Ubuntu. I record mostly guitar, bass, vocals and I do the battery with a plugin. There were bugs in the beginning but the team reacted very quickly and chained corrections, a very good point. The software is stable, with the latest versions, I have not had a problem. It must be one of the few soft for which I read the manual. I am a beginner in terms of DAW. Desktop has 4 cores 3.5 Ghz with a NVidia 680GTX card and 2TB disks. - Before: Native Komplete Audio 6 + Eleven Rack connected SPDIF. - Now: Fractal AXE FX 2 XL (with the drivers that go well) dirrectement USB on the PC. The prefs are excellent, no problem, the app is stable. I made long recording sessions. Ettention a quality USB cable. A rotten cable may cause clicks in the sound (more isochronous transmission, the lost packets are not re-issued), of course it does has nothing to do with the app, it's the grub driver and USB. The app handles all sampling frequencies and so the 48k Fractal smoothly. The only plugin I use, this is Steven Slate Drum 4 with a VST bridge Windows / Linux (SSD4 does not being released under linux). It works fine except the Drag & Drop but it will bypass, it is possible that this fixed with the latest version of the bridge, I have to check. Before, I had a small windows partition with ProTools 10 This is probably a good software but it is complex for a beginner and not running linux. Editing audio segments. It's simple powerful friends, I set up models of pieces very quickly. Tools for handling samples on the tracks are great. The simplicity of bounce afternoon around audio (right click!) The tracks are hybrid MIDI Audio, ca simplifies things. Some complain that it has less features compared to competitors. Not having much experience, I do not would pronounce on this point, except for me, I get to learn more than what I was doing with ProTools (with whom, it is true, I have not really dug) without taking my head. The virtual instrument system is very nice. It will expand in future releases. I would like more packages of instruments and downloadable samples from Bitwig. But you can already do many things without special plugins. Lougarou's review (This content has been automatically translated from French)" Bitwig not finished!" Configuration facilitated wizardisée therefore RAS. No incompatibility to my knowledge. Bitwig works well 50aines Audio & VSTi and VST tracks. In short it rolls! Tried the demo versions before. 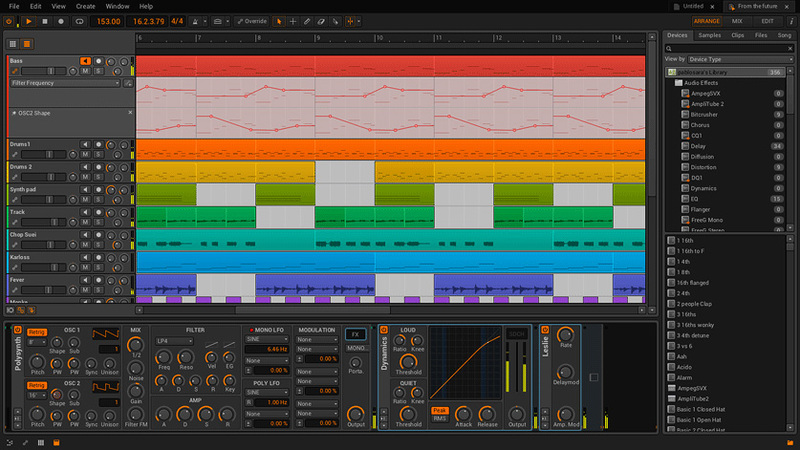 Reaper 4.62 now Studio One V2.6.2, Samplitude ProX 12, Ableton V9.1.1. - MIDI editor like finally Reaper! - Routing "depleted", especially compared to Ableton, its direct competitor in my opinion! My biggest criticism is that I expect a DAW other, more general, ie an Ableton incorporating "building" a DAW more gnéraliste as Reaper or Studio one example, a sort of mix between these DAWs, which allow a group of more flexible tracks, with track folder or perhaps a track list and a more flexible routing, the Cockos Reaper is exemplary but Neni: we have a revamped Ableton which is no more evolved qques so it is a bit disappointing! I lay still "OK" in appreciation for qqu'un because who does not know Abletin can begin in Bitwig and make mixes and tacks, it's still feasible anyway. digital experience's review (This content has been automatically translated from French)" Excellent"
Installation as simple as her, I just said Congratulations all. 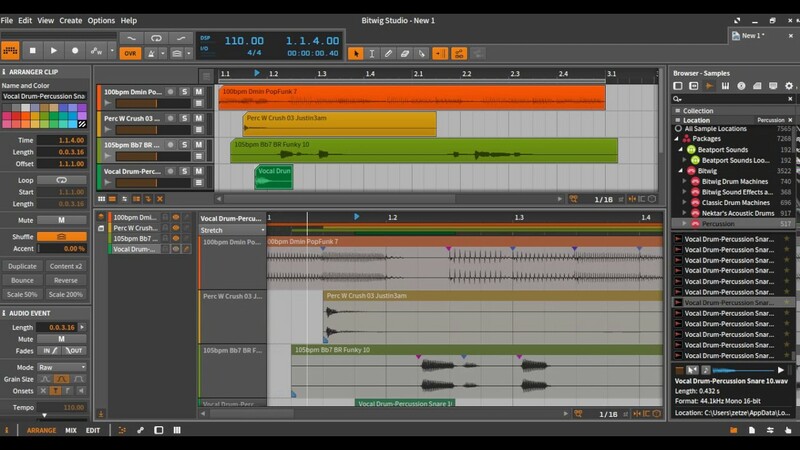 - Configure Bitwig is very easy. All is in the "click". Need to search folder in folder: here, the browser is right and obvious. Regarding the Audio section, you click, you selected your sound card and you can start. -The manual is very detailed, black and white photos included software ... but: in English! Now about my computer, which is a computer Mr "touslemonde"
To do this, what better an example? I want to clarify that I'm talking about sound "Trance". this is a 9/10 for the "Suitability / Performance"
- Already, just slap the interface simple, which does not break my eyelets off the evening light. - The top? window "scene" next to the window arrangement: how to say ... huge. - All is intuitive "click to pay"
- Creation of its own instrument with "layer instrument"
I stop here, because there are still many things to say. In conclusion: if you want a stable open source software, with a workflow and a huge modulation blend of reason and live: dive. Thank you and the next. Until December 7th, Bitwig Studio buyers and even previous owners can benefit from special offers on D16 Group plugins.